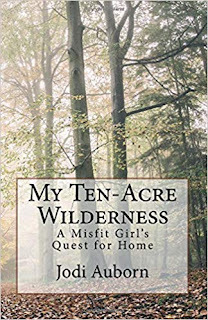 Today, Feathered Quill reviewer Barbara Bamberger Scott is talking with Jodi Auborn, author of My Ten-Acre Wilderness. FQ: You wrote a lot as a child. Who or what was your original inspiration to develop that skill? AUBORN: Basically, it was my overactive imagination that just naturally spilled out onto paper. My dreams, hopes, and wishes seemed like they could really come true, if I wrote stories about people who achieved those same dreams, and went off on the wild adventures that I imagined myself doing someday. Writing allowed me to create the perfect friends and life. As a horse-crazy child, writing about horses was almost as good as having one. In high school, I had an English teacher who really helped and encouraged me with my writing. She had faith in me that I could really do it, and make something of myself. FQ: When did you first realize you were, or could be, a “real writer”? AUBORN: That was the winter that I was 10 years old, after I finished the original draft of my first novel, Stormwind of the North Country. I was so proud of that story and expected it would make me rich and famous! Thankfully, several years later I realized how childish and unrealistic it was, and decided to rewrite it. But the first time that I felt like a real writer was when I completed those two dog-eared notebooks that contained my handwritten first manuscript! FQ: You are a religious person; do you find God and spirituality in nature? AUBORN: Yes. I feel closest to God in nature, such as when I'm gardening, taking a walk, or camping (especially late at night), whether I'm alone or with a special animal such as a dog or a horse. I'm more apt to feel God's presence alone in nature rather than in a formal church setting surrounded by other people. FQ: Is the memory of childhood part of what keeps you close to the outdoor world you grew up in? AUBORN: Yes, very much! As I mentioned in my book, I've worked for the past ten summers at the campground where my parents took me camping as a child. Although I don't have kids, I feel that, in a way, by working there I'm passing on a legacy of wonderful camping memories to a new generation. Whenever I take a canoe out on the lake, unexpectedly encounter a wild animal, or even hear the call of a loon or squawk of a seagull, I feel like a kid again. And those childhood memories also keep my dream alive of buying (or building) a country house in Maine, and recreating the good aspects of my pre-teen years living in my family's Adirondack cabin. FQ: What comforts and sustains you these days in the indoor environment of your cottage? AUBORN: Throughout my house are photos and souvenirs from my travels and past. Each of the three rooms has a different decorating theme. I still have my childhood Breyer horses and dog figurines, etc. Even the silliest little knickknacks from past vacations still bring a smile and a memory. But it's not only the little things: I remind myself that my first house is a stepping-stone to my dream house that I mentioned in the question above. FQ: Have you saved mementos of your grandparents and parents? AUBORN: Yes, I have some of my grandpa's woods carvings, the step-stool he made me when I was a toddler, and his handcrafted dresser and bookcase. But the biggest “memento” (if you could call it that) of my grandparents is their whole house! My mom still lives there, and I visit often. I have a guitar that my dad had given me, the bill of sale for my first horse, Sally, a hand-written vacation diary that Dad had kept, and several of his music binders. One of the most fascinating things of my parents is a case full of receipts and letters, real-estate ads, building-supply lists, and the blueprints of the log cabin featured in “My Ten-Acre Wilderness.” After decades of believing that it had all been destroyed in a flooded basement, I was thrilled when my mom found it not long ago. It was an interesting perspective of that time as seen from my parents' point of view, as opposed to my own child's-eye view. FQ: Since you had social limitations as a young person, has the Internet been a help in communicating with your fans? AUBORN: Yes, a big help! It brought me in contact with so many interesting people and exciting events! For instance, the first year that Stormwind of the North Country was published, I spoke to a 4th-grade class about my book and the writing process, and to a middle school class at the middle school that I attended as a pre-teen. 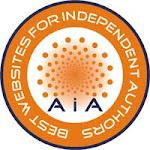 The Internet helped me find local book fairs , book stores, and craft sales to sell my books and photography. My most unforgettable Internet/fan story was that it brought me in contact with the current owner of the Hadley cabin, (the house that plays a major role in My Ten-Acre Wilderness). 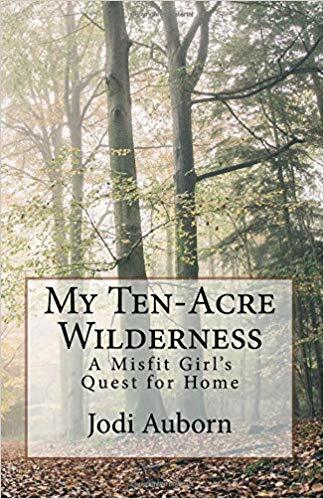 She had read the first edition of Wilderness, (originally titled The Forests I Called Home, which is now out of print.) She e-mailed me, and we exchanged photos of the house: during construction and in the present-day. I was pleased and happy to see that the neglected wreck of a house that I described in the book was finally cleaned up and loved again. FQ: Do you think your career as a writer was in some way spurred on by the drive to overcome your childhood disabilities? AUBORN: In a way...subconsciously, I think I tried to compensate for my lack of athletic ability and math skills/aptitude with art, writing, and music. Although I credit my daily horseback riding with curing my early childhood medical condition (which caused weak muscles in my lower body), it didn't help the fact that I was uncoordinated and terrible at team sports (and thus was always the kid chosen last for teams in gym class). I wanted to prove myself to my classmates that I was good for something. By high school, I believe that any energy and emotion that I might've put into a social/dating life was channeled into my stories. 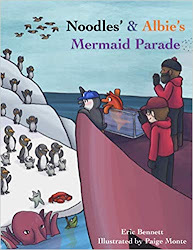 FQ: Your book seems to offer encouragement to young people struggling with identity issues - would you recommend your book specifically for Young Adult readers? AUBORN: Yes – especially the middle-school/junior high kids who are trying to discover and accept themselves: the loners and misfits who are struggling to fit in, only to be labeled “strange” and “different.” If there's anything I hope they can take away from the book, it's to be yourself, and have faith that everything will work out, even if it's in ways that you don't expect. Don't be afraid to be the “weird” kid, the one with out-of-the-ordinary hobbies and seemingly impossible dreams...because someday, you may find that your life turns out more fulfilling than the lives of those who simply followed the crowd and did what was expected of them. In much of my early school years, I struggled to discover who I was and how to relate to my classmates. I talk about this in Chapter 4, “The Winter Cottage.” When I started 5th-grade in a new school, quiet and introverted me invented a loud and wacky persona in an attempt to impress people and make friends. However, the things that I believed to be fun-loving and outgoing were actually creepy and annoying. Quite understandably, my antics turned people away rather than drew them in, and earned me years of mockery and a visit to the school psychologist. Although things slowly improved the next school year (and were much better by high school), I learned a lesson about being myself and not trying to act like someone I was not. I also think that animal lovers, especially young horse fans, would enjoy the book. 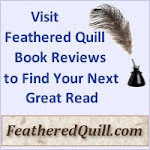 #BookReview - Girls Cam Be Cowboys Too! 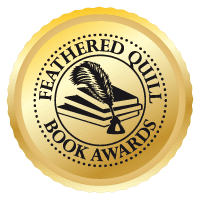 Feathered Quill #BookAwards Nominate Now!